I have a kind of “rule of thumb” in spirituality, if someone says they are enlightened they are not. Associated with that rule is the notion that because I am not enlightened how can I discuss enlightenment? In addition, connected with this “rule of thumb” I do not have faith, I have unanswered questions, I have things I can accept I was never meant to understand, and most of these revolve around enlightenment – because I am never going to be enlightened I cannot discuss enlightenment. Why have I said this? Because I have been promoting awakening – asking people to celebrate the experiences that are associated with awakening. Now I am going to do a 180, because I am feeling ego. Who the hell is this recluse who wants to talk about awakening – and describes himself as an awakened writer? I hate this as well. The problem is “what language do I use?”. Suppose you have had a good night’s sleep, and you wake up feeling great. For a moment everything is great, no pressures, no work, no problems, no stress. It’s great. Unfortunately the moment does not last because the mind kicks in with pressures – work, problems and stress. But for a moment there was an awakening. Suppose that awakening occurred in a different context. Suppose you realised that all around you is conditioning, and that if you didn’t follow that conditioning you would feel great. How can you describe that? Awakening. But the word has been over-used, and it has been used in the context of the world’s best people – the Buddha etc. It is understandable that you question why a recluse should use such a word about himself. But for me it is waking up to a new unconditioned day, and that’s all. And then there are worse associations. There are spiritual charlatans (NOT all) who want to sell themselves as people to listen to (and pay money). They talk about awakening but really they are simply posers and exploiters. So there are even more negative associations attached to this word awakening – associations I hate. And there is a specialness attached to this as well, and that makes it so difficult to keep ego from being attached. Here is a specialness, someone who is awakened is special compared to someone who isn’t. But the situation is really this, are you special if you are not conditioned? I don’t like the word “special” for that, I prefer the word “human”. You are simply human but a human who has not accepted conditioning. Is that special? Unfortunately it becomes “special” because of associations to do with the word “awakening”. Humans are conditioned at first, this is upbringing. It has to be this way. At birth how can we make decisions about conditioning? Our bodies and minds (khandas) need to be trained, and nature (Idapaccayata) gives us tools – instincts to help with that training. Once trained, consciousness drops away conditioning and we become humans who experience life as unconditioned adults. But instead there are vested interests that pervert this process – in our current society this is primarily the 1%. Over time their system has developed in such a way that they have promoted attachment to instincts and khandas – conditioning, as they can profit from this. Don’t get me wrong, I am not saying that there is no conditioning without the 1%, but they make the level of conditioning far far worse. How do people overcome their greed when everyone is greedy? In the West how do we fight the need for war when all around the society profits from war? Simply so many people accept war and its consequences? How do we promote compassion – the need for freedom from suffering – when all around people are conditioned to accept wage-slavery? How can we then promote detachment from khandas when all around are conditioned to accept such attachments? Yet that is all that is being discussed when we talk of awakening – simply an end to conditioning. Not an ego trip, not an expression of specialness, just an end to the conditioning that causes suffering and prevents freedom. But there has become a sense of specialness because of how corrupt our society has become. This corruption leads to a level of conditioning so repressive that breaking free of it produces great joy. This joy is simply normal human experience but the level of conditioning prevents such normal joy. Those experiencing such natural joy see it as more than that because of the repression of such normal human experiences. So we have the awakening circus. Awakening is only the joy of breaking free of conditioning but it starts to be seen as so much more by most concerned. So celebrate awakening, understand the joy of this normal human experience, enjoy the freedom from conditioning but remember being free from conditioning is not special it has only become special because of the repressive conditioning – especially 1%-conditioning. Here is an example of why I want to celebrate experiences associated with “awakening”. I ended up in discussion with someone who had spent time in a monastery. As a result I suspect a combination of her being ready and sound teaching, through prayer she found “God in her heart” – or a similar description. It was a joy to hear her describe this. However life takes its toll. She returned to her family, and sought similar in a church. But the church is an institution with numerous limitations, not the least of which is that there were no people who had found some form of awakening. Her Path has given her strength to deal with life but could it do more? Is she feeling fulfilled with her “God in her heart”? That is for her to say, but she is not surrounded by people pushing this kind of awakening. So it is possible the conditioning is pulling her back in. At the very least the conditioning has got to be presenting her with conflict. Now I celebrate awakening but at the same time fear the ego associated with that. A typical balancing act. I am no insect guy but caterpillars eat tons of green stuff and eventually, when nature decides, turn into moths. Is this an awakening? It’s no biggie, but it seems reasonable to see it as an insect awakening. Just nature. I am suggesting that what happens as an awakening is just natural. People are born, are nurtured, instincts direct towards that nurturing, and then at some stage this nurturing or conditioning should fall away and there are adults – adult moths. What is the problem with this? Conditioning is not falling away from most people so when it does fall away it is unusual – and is not seen as natural. Why is it not falling away? This is the real question that is leading to the problem. Suppose there were vested interests that wanted to keep caterpillars as moths, and suppose that those caterpillars had a choice as to whether to become moths. Caterpillars just eat, conditioned people just accept the systemic need for them to work – wage-slavery. When it is time for people to release conditioning, they are choosing not to. What contributes to that choice? All around people see caterpillars working for the 1%, their families, their friends, so why would they choose not to be caterpillars with their family and friends? To make sure we are caterpillars we go to caterpillar school where we are told that it is good to be a caterpillar, and we are discouraged from being different. We are not told “don’t be a moth”, but moths are different and it is hard for moths to be caterpillars. But what is worse for the 1% is that human moths do not accept their system; human moths have compassion and immediately demand an end to deaths of caterpillars in war and an end to exploitation of caterpillars through wage slavery. So what is normal – becoming a human moth, becomes an issue because the 1% don’t want moths. Let’s examine instincts such as greed and lust. How well do the 1% do on these benchmarks? They have money and money can satisfy their lust – without love. If the 1% are successful, if they are the top caterpillars, why would they encourage caterpillars to become moths? So they make sure that we are not interested in becoming moths, that we don’t hear of the advantages of being moths. 1% don’t usually become moths so they tecah us not to want mothdom. In this blogpost I discussed why the 1% are not the only source of conditioning but especially in the West their impact is dominant. In Thailand Buddhism is the institutional religion. Young men are expected to spend time in monasteries, if they chose to be monks it would be a decision Thai society would support. Whilst human moths and monks are not exactly the same there are a great many similarities. In Thailand a moth would expect to become a monk, and a caterpillar growing into a monk would be encouraged. Monks are seen as special but they are seen as human, and they are encouraged. This is so much healthier than the West. Despite western conditioning some caterpillars still become moths but they are not recognised as such. Moths don’t have greed and lust the same way as caterpillars so they are considered unusual – freaks even. Now what about the moths? Is their life ended as soon as they become moths? Or do they have some development as moths? If moths are not recognised by the system – because the system only accepts caterpillars, how will the moths develop? What happens to the moths if they don’t develop? Do the moths suffer? In Thai wats monks can meditate, study and learn – limited only by the differences between moths and monks. It is worth trying to find out how monks expect to learn – what is their curriculum? So what am I going to do now? I want to discuss what moths learn. Ending that analogy (for the moment? ), what are monks expected to learn. Sadly that means discussing enlightenment, and what is worse my ego (?) is looking forward to it. I have two acts of faith, Buddha and Jesus Christ were enlightened – Jesus Christ Ascended. It is my understanding that in Islam they have tremendous respect for the Prophet Muhammed, Peace be upon Him, but they do not consider he was enlightened. I would have no issues including Him as the third article of my faith. But I do not have faith in kamma and rebirth, soul etc. I do not have faith in ideologies. If someone says “I believe in reincarnation”, I would ask have you experienced it? They will presumably say no, and I would say then I don’t believe in it, why do they? Rebirth, reincarnation, some would say that the suttas say that kamma and rebirth are true but my hero, Buddhadasa, says that this is an interpretation and he interprets it differently. 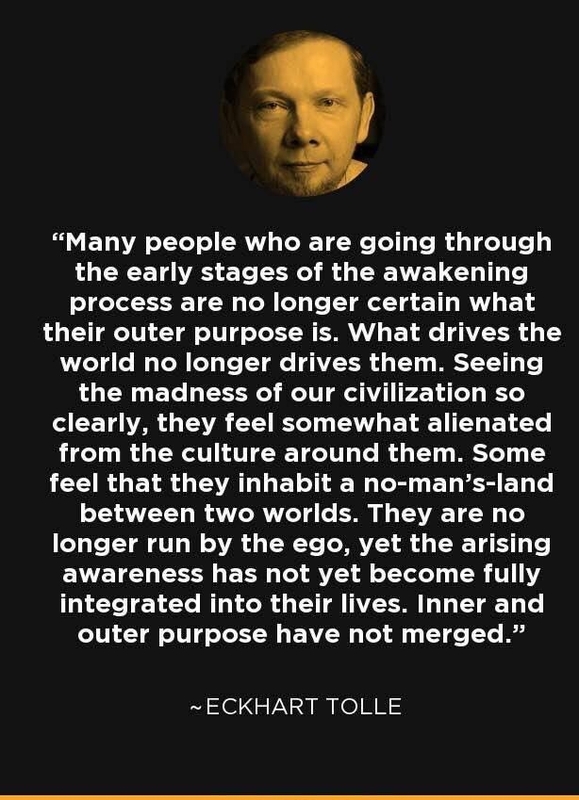 I don’t fully understand his interpretation but I think I am going to have to if I am going to look at 4 stages of enlightenment. Now Buddhadasa has discussed these in Anapanasati – Mindfulness of Breathing, so that sounds interesting. And his book opens with a recognition that it is a manual for monks. Why am I even embarking into such ethereal areas? And the answer is very simple – awakening. I have just discussed awakening in detail – in my mid-life review and elsewhere. It is so real and so important, but it is not enlightenment. I am far from Buddha, I am far from Jesus Christ, I am far from the Prophet Muhammed, I am far from Eckhart Tolle, BUT I am awakened. I am not arrogant – crazy American, but I am awakened. That sounds a complete contradiction but it isn’t. I hope that by examining Anapanasati I can show that. Unfortunately as soon as I start the investigation I reach a problem – Hinduism. I have nothing necessarily against Hinduism, people must choose what they believe in, but unfortunately there is a confluence of Hinduism and Buddhism – somewhat naturally. The Buddha was Indian, grew up in a Hindu country, and to all intents and purposes was a Hindu revisionist – trying to point out what was wrong with the stuff he grew up with. But there were then two problems. Because Hinduism was the tradition that he was born into some of what got called Buddhism was actually Hinduism. In Thailand for example, what is traditional Buddhism is a mixture of Hinduism, Buddhism and Animism – 3 traditions. Secondly the language the Buddha used was there to appease the Hindus, he was not trying to smack them on the head wioth conflicting language but was attempting to win them round through polemic. There was no blunt “there is no reincarnation” but there were clear hints. It is my understanding that the Buddha never spoke for or against on the grounds that people cannot know. To justify this last I want to discuss kamma and rebirth, and how it can be seen as an interpretation. We are born with kamma and instinct both of which are aggregated using the 5 khandas. Whoever we are this is our constitution. Instinct and aggregates are non-personal so we are different people because of our kamma. Who or what decides on this kamma? Nature – Idappaccayata. We accept that Nature can decide where trees grow, how animals are born etc. but humanity has to be different. So we have a theory (khanda – sankhara) for that difference. It might be true but do we need a theory? Can’t we just say kamma is? Reincarnation is a nice theory, it has a roundness to it, good logic, good stuff this life, better kamma and start in life, but there is no evidence. Nice theory or Nature, does it really make a difference? So let’s examine references to rebirth, how can they be understood as not reincarnation? I am going to explain this in terms of the Buddhadasa 4-systems – body, psyche, self and emptiness. We can attach to the 5 khandas, these attachments take on a life of their own and once sufficiently attached as entities they wish to survive. These entities with the desire to survive, such as alcohol body, pain body or intellectual body, could be called selves. Once we manage to let go of such selves it is like a rebirth. I have discussed such selves. My worst was the alcohol body, I cannot believe the rationalisations I came up with to accept that clinging – addiction. Self is simply an accumulation of these selves throughout life. When we are young it is instinct to form these selves to survive. Throughout society these selves are encouraged, we are encouraged to be this grand self “I”. Letting go of this self is what Buddhadasa says is necessary – anatta, before we can relate to the emptiness system. Once we begin to detach from self and major selves (alcohol, pain bodies etc.) then we work on smaller selves. We have a thought, we attach to that thought, think it is important, accept it an ideology to follow, accept it as my thought, and we have the rebirth of a self. In our lives kamma dictates cyles of selves, birth and letting go of self, rebirth of self etc. One Buddhist ideology would be that over cycles of samsara – the great wheel, selves are born and die until eventually nibbana is reached. Enlightenment? So here it is discussion of enlightenment. The use of the word awakened was a mistake, there was too much ego. Ego tricks us (me) so easily in its efforts to survive. There was a simple concept I was trying to illustrate, and that was waking up from conditioning. I specifically never use the term enlightenment, and defined the word awakened as the simple idea of waking up from conditioning. To me, and my ego, that sounded reasonable. Yet I was aware that the word was used differently by very many people, that should have been enough to warn me off. But I got stubborn holding to my definition. But many who use the word bring the process of awakening from conditioning into disrepute, that should have been enough to stop me using the term but my ego got stubborn. I have been recently concerned about people who have experiences associated with moving beyond conditioning. It is my view these experiences should be celebrated, and as such there is a danger of ego. I risked that because these experiences were so important and pointers to a better way of life beyond conditioning. I was aware of ego dangers but still fell in. I am going to change terminology to a much more neutral description. After I hit bottom I started following the path, my second spiritual childhood began then. After my second childhood I matured as a writer. I thought of the two childhoods as an awakening with sporadic experiences, but I now just want to describe this as following the path. Celebrating these experiences, I follow the path. What happens to adults, they get older and die. What happens to mature adults, they get older and die. But how is their maturity affected? This leads to the real question, how does their spiritual maturity develop? How does a mature person develop spiritually? How does a person following the path develop? How does a mature person develop spiritually? How does a person following the path develop? Following hitting bottom I was on the path but I did not always hold to the path. But through my second childhood I consider I have matured. At the beginning of Anapanasati, Buddhadasa presents a clear and detailed understanding that in order to practice meditation life has to be designed create the conditions for meditation. He does not promote the use of techniques such as Chi Gung for the development of energy, I would recommend that especially for older meditators who need to help their bodies cope. At the beginning of Ch3 (p75 of 550) he describes meditation as mental development (bhavana), bhavana is the path of the mature. What are we looking for in mental development? I woke up this morning early, and began thinking of bhavana. What is mental development? Better meditation. I decided to do a home retreat. 45 minutes on 15 minutes off, then again …. Having decided this I sat and realised how feeble I was in many areas – entertainment etc. And then I remembered getting angry with a friend on Thursday, this led to MAWP LINK. But that anger was so uncontrolled that it was clearly not about the friend, and I understood it was ego about being on the path. How stupid of me. I did two sessions relatively easy although I was in pain after the second. I gave in with the pain half-way through the third. Since I have been meditating I have used the Burmese posture, kneeling whilst sitting on a stool, because of my knee problem. This is the first time that my knee has given me problems in meditation, meditation has always helped the knee. Yet Boonyeun says it is almost straight now!! I have never given in on meditation because of pain before. Home retreats are an excellent idea, and this has also shown me why unconsciously I have never gone on a meditation retreat before. Rapture and awakening are connected in Buddhism by the 7 factors of awakening, here is the sutta stuff. “In this community of monks there are monks who are arahants, whose mental effluents are ended, who have reached fulfillment, done the task, laid down the burden, attained the true goal, laid to waste the fetter of becoming, and who are released through right gnosis: such are the monks in this community of monks. “In this community of monks there are monks who, with the wasting away of the five lower fetters, are due to be reborn [in the Pure Abodes], there to be totally unbound, destined never again to return from that world: such are the monks in this community of monks. “In this community of monks there are monks who, with the wasting away of [the first] three fetters, and with the attenuation of passion, aversion, & delusion, are once-returners, who — on returning only once more to this world — will make an ending to stress: such are the monks in this community of monks. Stream-winners, once returners, non-returners and arahants; words what do they mean? “Now how is mindfulness of in-&-out breathing developed & pursued so as to be of great fruit, of great benefit? “This is how mindfulness of in-&-out breathing is developed & pursued so as to be of great fruit, of great benefit. inconstancy, dispassion, cessation and relinquishment. Then he talks about the four frames of reference, mindfulness. “ Remaining mindful in this way, he examines, analyses, & comes to a comprehension of that quality with discernment. When he remains mindful in this way, examining, analysing, & coming to a comprehension of that quality with discernment, then analysis of qualities as a factor for awakening becomes aroused. He develops it, and for him it goes to the culmination of its development. “ In one who examines, analyses, & comes to a comprehension of that quality with discernment, persistence is aroused unflaggingly. When persistence is aroused unflaggingly in one who examines, analyses, & comes to a comprehension of that quality with discernment, then persistence as a factor for awakening becomes aroused. He develops it, and for him it goes to the culmination of its development. Rapture and awakening connected in Buddhism. I have finally worked through what all this talk of awakening is about. I spoke of two childhoods. Let’s examine the first childhood, the system childhood, the outer childhood. In this childhood my contents of consciousness were filled with all kinds of stuff they wanted to fill it with – mainly academia but also system compliance. And how did that childhood end? By hitting bottom and “awakening” – following the path. There was a system “I”, an “I” that had been formed in my childhood (actual) that had been based on my upbringing. This “I” had attached to all the conditionality, become arrogant, and had to be knocked on the head before starting the path. So what has happened during the second childhood? Instead of taking the opportunity to live an unconditioned existence, my “I” took on new selves. I started with compassion, and through that compassion “I” was allowed to take on a teacher “self”. That compassion then moved to beyond teaching and started to take on a political “self”. In addition throughout this second childhood period there have been insights. But what happened to those insights? “I” has appropriated them. What started as insights from the path became thoughts (sankhara) that self appropriated leading to a second conditioned “I” that needed to be knocked out of existence. When I was focussing on awakening it was the path telling me to remember what happened in the first childhood, and get rid of the conditioned second childhood “I”. In some ways this is harder to do. Hitting bottom and coming through experiences on the other side was rapturous but unconscious. It was a time to be grateful for – however unhinged I was. But this second “I” with an accumulation of teacher, political ideology and insights is more difficult because it can only be dealt with consciously – mindfully. I have tended to rely on the fortune of following the path, and have not applied mindfulness to my second childhood allowing the selves to condition a new “I”. There is only mindfulness as a way out – mindfully living as no self. In this world of spiritual and systemic inimicality/delusion/conditioning, it can only be through the recognition of continually emerging selves and the need to continually release them that the path can be followed – that I cannot accumulate again. Finally a special word for the political self that I have to be especially conscious of. Much of the above is bog standard Buddhism, and whilst it is good to have such a body of knowledge it is also an institution with all the entity problems of an institution. The biggest such problem is that of avoiding politics because by such avoidance the institution can survive and have greater influence. As an individual there is no need for such avoidance, in fact it is an important part of awareness and the end of conditioning not to avoid such institutional compromise. But when an individual has to be better than an institution like Buddhism that contains much wisdom, there is a big danger of ego. There is no doubt that I have attached to a political self, and so ideology is perceived. I cannot alter the perceptions of others but I have to continually be aware of the potential for self-accumulating. Accumulating is a good word to describe the 1%-system but it is also a good word to describe the khandas. Aggregation is the natural process, accumulation is attachment, mindfulness means aggregate but not accumulate – mindfully living as no self. Excellent week rounded off with defeating a possible flu. I have a dilemma with aspiration, and I don’t like this dilemma because it puts me in disagreement with Ajaan Buddhadasa. Ajaan Buddhadasa uses aspiration as a ruse to defeat desire, and so legitimises a desire for Nibbana – the Great Fruit in Majjhima Nikkaya 118. He then made his aspiration a way of life developing bhavana in his aspiration ot the Great Fruit. I feel that if I aspire I create an imbalance. The aspiration makes me push wanting to do more for the aspiration. I feel the path has to be what I feel it is right to do; maybe this is just who I am swinging from one thing to another – inner and outer. This lack of push of course could just be complacency even though I persevering with my path. It feels like it could be ego if I am disagreeing with Ajaan Buddhadasa, I have to keep checking that. There is much still to study in Anapanasati – not now. Tolle has also finished for the time being so I can get back to Honiti. I watched The Circle yesterday and that frightened me – Liberals. What a world! Here is Trump celebrating the grossest in humanity, the 1% are driving deep inroads during Trump chaos, and the alternative is bleating blind Liberalism.